Late last year, FRANK Founder, Katie and Nepal Programme Manager, Harmeet visited the village of Thosne Khola - where FRANK Water launched its first project in Nepal. 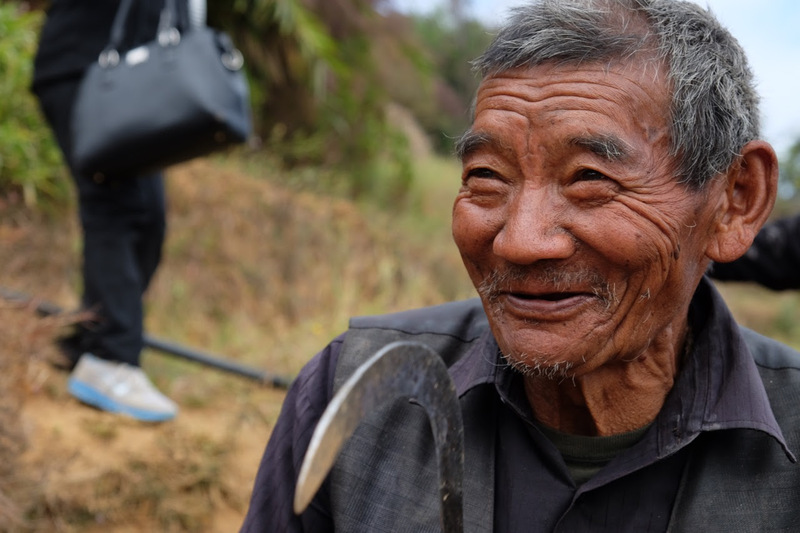 There they met Jeet Bahadur Tamang who has lived in the village all his life. Jeet is 82 and lives alone in a house set apart from the village. He keeps a few animals for milk and grows much of his own food. His wife has died and his children and their families live in a neighbouring village. Along with houses and other buildings, the water supply system in Thosne Khola was damaged during the earthquake in 2015. This time last year, it would take Jeet up to five hours a day to fetch and carry enough water to drink, cook with, wash, water his garden and keep his livestock healthy. Every trip he made to and from the nearest spring would take an hour. He could only manage a container at a time but even so, his back ached and he had little time to rest. With your support, they've built a gravity fed water supply system in Thosne Khola which supplies safe water to every household. Frank Water has started a Cycle fo safe Water and Walk for Water challenges in India. You can read more about it here.